Agua fresca is on of the most famous drinks in Mexico, it is basically water with fresh fruit flavour. Today I made an agua fresca with some watermelon, as the weather in London is hot and nice. Make sure the watermelon doesn’t have any seeds. Remove the green skin from the watermelon and take off the seeds. 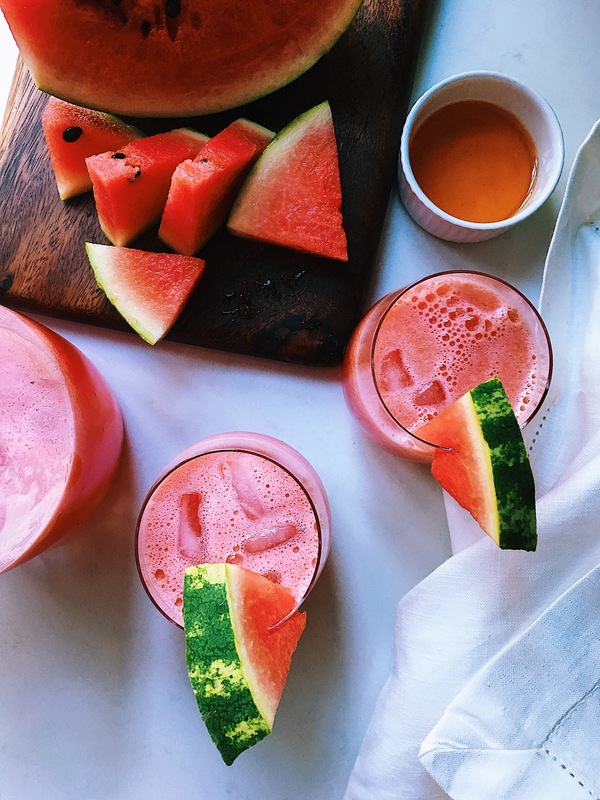 Put the flesh of the watermelon in the blender, then add the agave syrup and the juice of the lime. Blend until very smooth. Then pour it into the jar and add ice. To serve, put a watermelon wedge on the glass and add some watermelon water. Enjoy!